KRASNOYARSK, July 30. /TASS/. 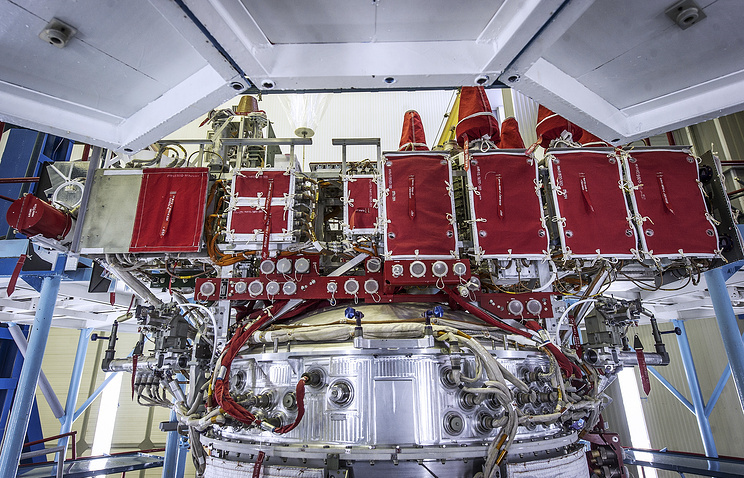 Manufacturing of navigational satellites of the GLONASS-M family in the Krasnoyarsk territory has been rounded up and they will be replaced by the satellites of next-generation families - GLONASS-K and GLONASS-K2, a spokesman for the Informational Satellite Systems (ISS) company said on Thursday. "The last GLONASS-M vehicle was manufactured under item No. 61 and placed in storage until a decision on its launch into orbit," he said. "It became the ninth satellite in the GLONASS reserve of vehicles kept on the ground." At present, two-thirds of Russia’s orbital grouping consists of the satellites designed and manufactured by the ISS. Apart from GLONASS, the company is also building the spacecraft for the Gonets, Express, and Yamal telecommunications systems. All in all, the company has built more than 1,200 satellites and forty space systems over the 55 years of its history. It added GLONASS-M satellites to its line of products fifteen years ago. The first one was launched into orbit in 2003. "They are the improved versions of their predecessors, the GLONASS family," he said. "The modernized version had an expanded term of warranty life - from three to seven years, and improved the quality of the navigation signal. The precision of satellite definitions of the Russian system has increased tenfold." As of 2011, twenty-four GLONASS-M satellites have been put into orbit, the ISS press service said.